From the eighteenth century the small Northumberland coastal village of Blyth grew through shipbuilding, coal mining, fishing and port activity. Industry declined or disappeared by the end of the twentieth to leave the town a quieter place. 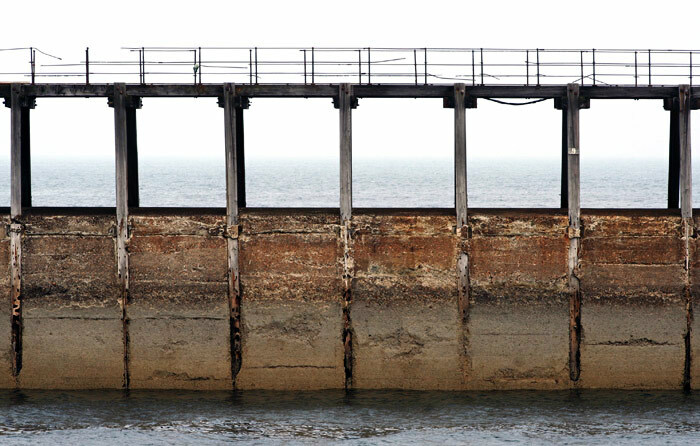 This pier structure stands on a long and reinforced spit of sand and rock lying parallel to the shore that deflects the River Blyth southwards into the North Sea. The walkway gives access to a lighthouse built in 1907. 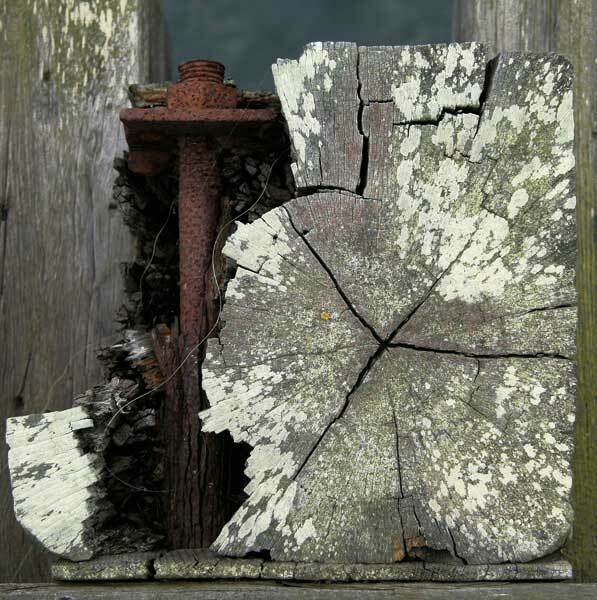 One day In 2009 I explored and photographed details from the harbour area under a sombre sky that gradually lightened as time passed. 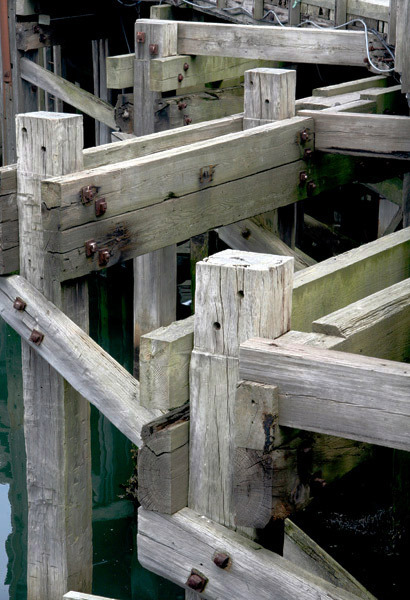 Some of he harbour's quays are substantial timber structures. 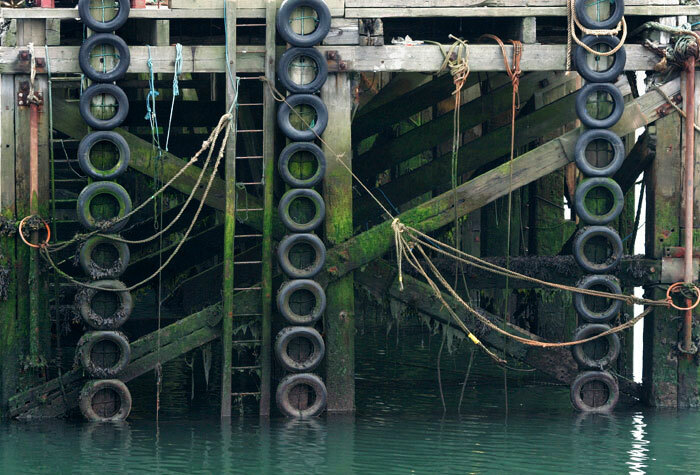 Here, protective vehicle tires and green weed measure the tides' rise and fall. 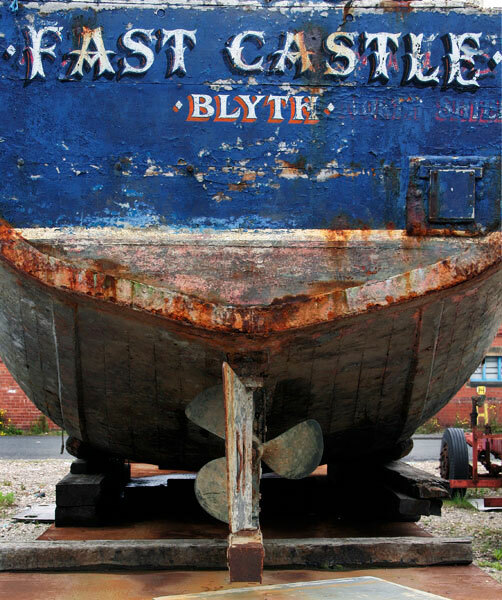 The "Fast Castle" was built in the Berwickshire fishing port of Eyemouth and took to the water in 1973. After a working life of more than thirty years she stands in poor structural condition on Blyth dock with much of her equipment removed. Extensive reworking would be needed to return her to sea. The scant ruins of the fifteenth century Fast Castle stand 150 feet above the sea on a precipitous and narrow projection from cliffs north of Eyemouth. Nearby, St Abb's Head is a truly spectacular National Nature Reserve encompassing both land and sea. 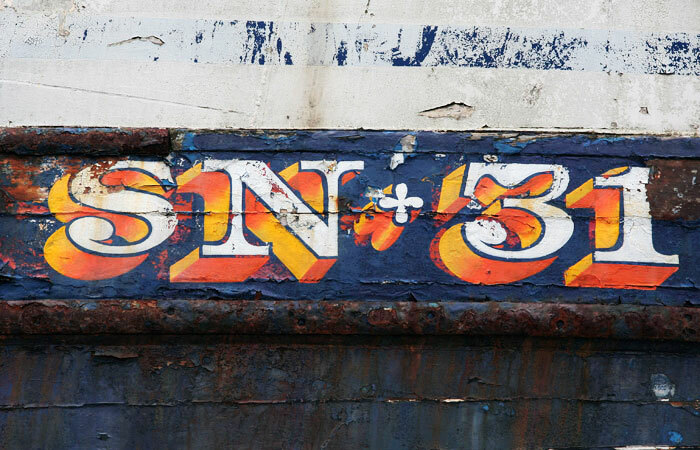 SN 31 is the boat's former registration code, with Sunderland as its designated port. 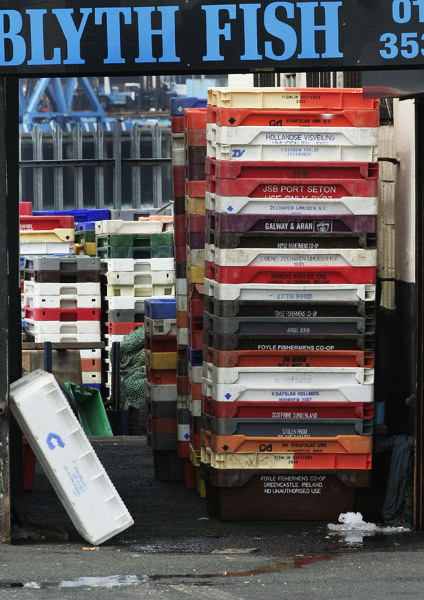 Once made from wood and carrying the paint-stencilled owner's name and location, contemporary fish boxes come in brightly hued plastic. Packed in with ice, the fish catch is trucked from boat to auction and destinations beyond. 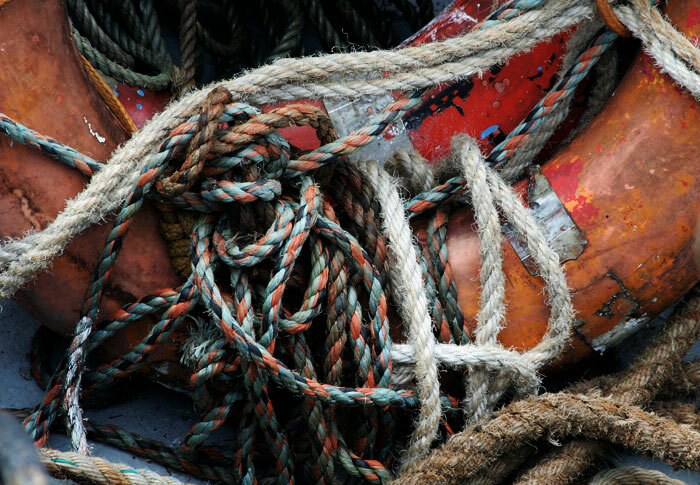 In the past, lobster pots were made solely from natural materials. 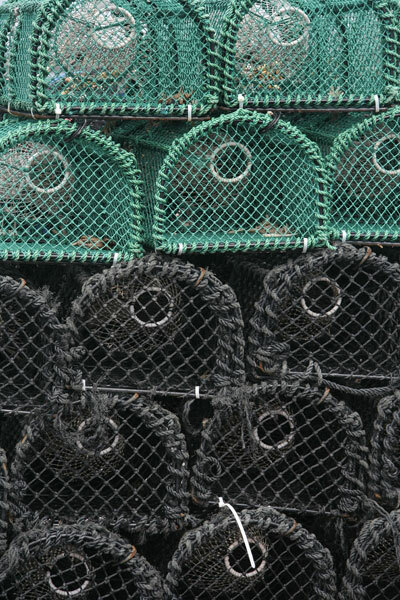 Those pictured retain a wooden base but the frames supporting the synthetic fibre netting are of coated metal. I don't know what function the longs disc strands serve and I didn't meet anyone to ask. Nearby, new pots built with a coated steel frame and synthetic fibre netting were stacked high. 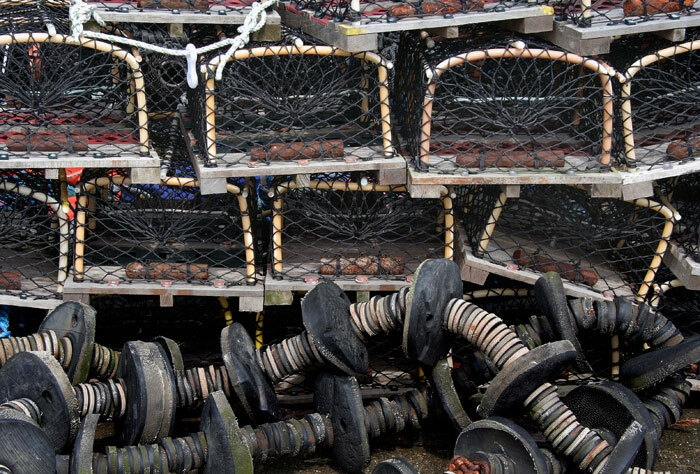 Baited and set on the seabed the pots attract lobster and crab which, once inside, are unable to escape. Local blue lobsters are beautiful creatures and I would prefer them to remain so on the sea bed rather than see them boiled and red on a dining table. 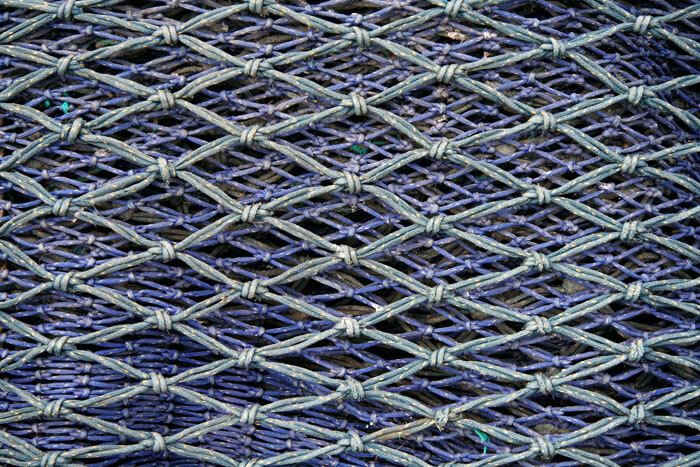 I liked the three-dimensional pattern and the colour subtleties in this roll of fishing net. Wear and tear and the sometimes enmeshed and dried remnants of plant and fish can enhance the visual interest in stacks of older nets. 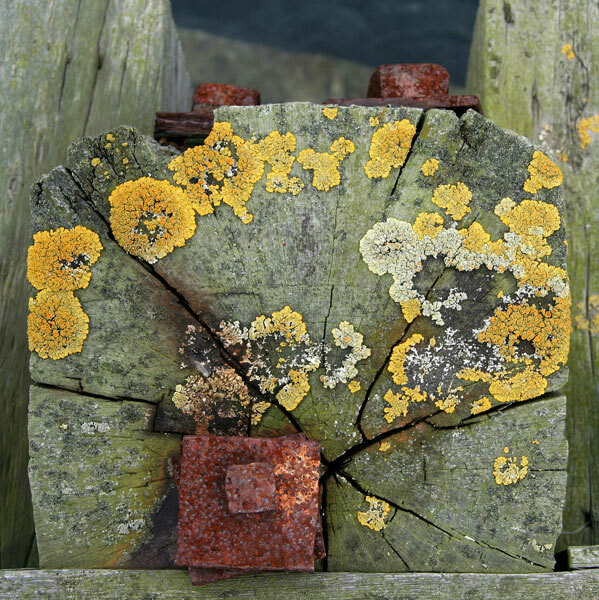 Its deck strewn with old fishing and other gear, a small and dilapidated fishing boat seemed unlikely ever again to slip its moorings and sail past the harbour light. The much shorter West Pier lies roughly west to east, aligned on the lighthouse at the end of the north to south set East Pier. 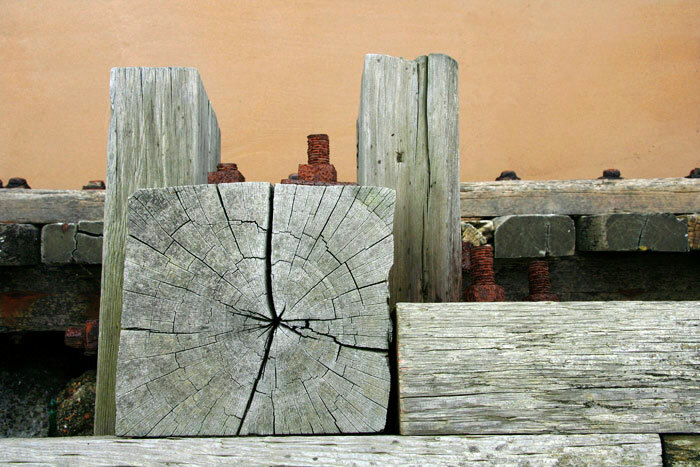 Its heavy timbers are set into the sandy shore to carry a walkway much used by rod fishermen and those like me who wish simply to walk over water to its end. 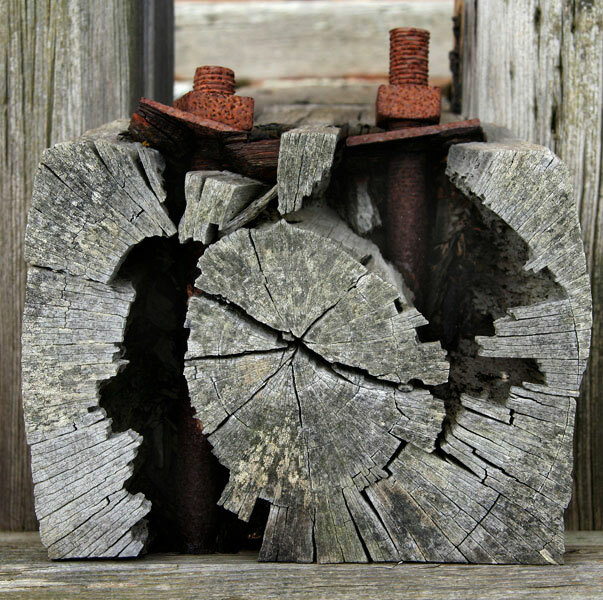 Weathering is taking its toll on wood and steel, each post framing a unique composition of corrosion and disintegration. In taking this series of post-top images I speculated that as separate prints they might range within a narrow frame to echo their pier relationships. A second visit, much postponed, is intended to make a more comprehensive collection of images from which I might choose. I seem increasingly to make closely related images within a theme, thinking to contain them in a single frame or overlay two or more to create one image. Perhaps I am influenced by an interest in minimalist music in which the flow of subtle sound changes and variations evolves into a composition's overall form. The Blyth beaches echo those more expansive sands to the north at Embleton, Beadnell, Bamburgh and beyond. The landward end of the short inner pier provides some shelter from the rarely warm North Sea air to beach game players and readers in deckchairs. 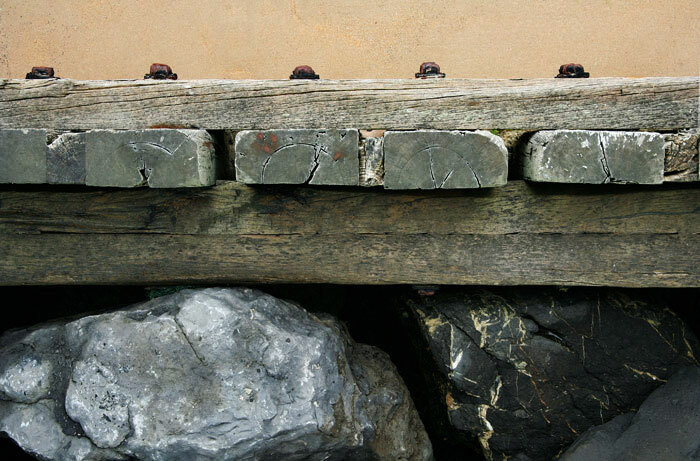 Towards the shore the pier timbers retain substantial boulders stacked within to protect and stabilise its base against the ebb and flow of storm and tide. Their geology is wide. 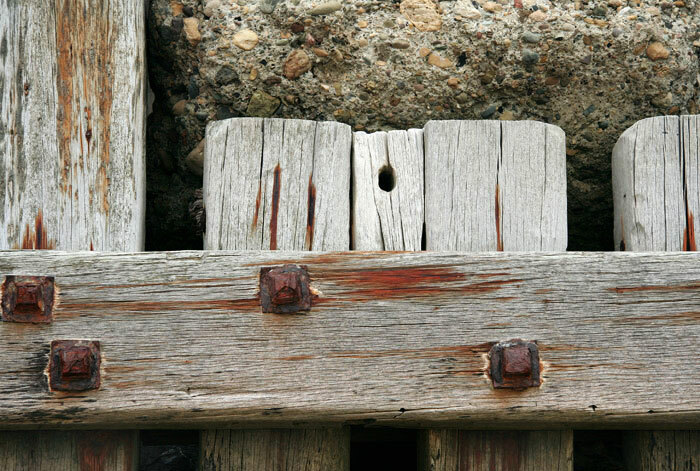 Further down the beach the low tide washes over seaweed and concrete beams strengthening the timber structure. 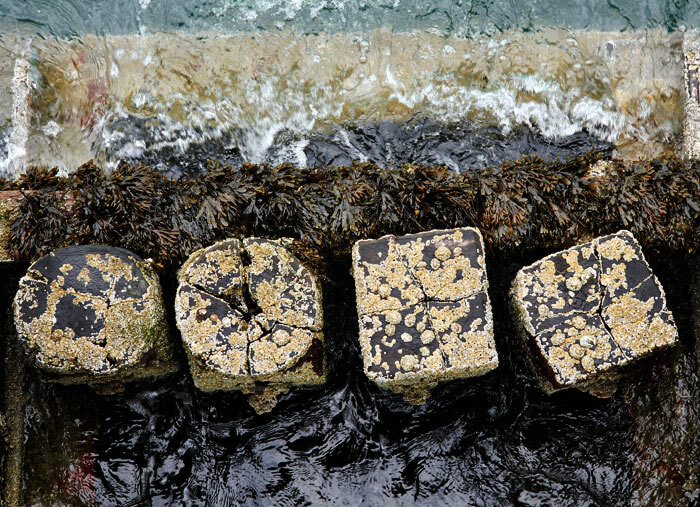 Barnacle clusters add their own patterns and textures. 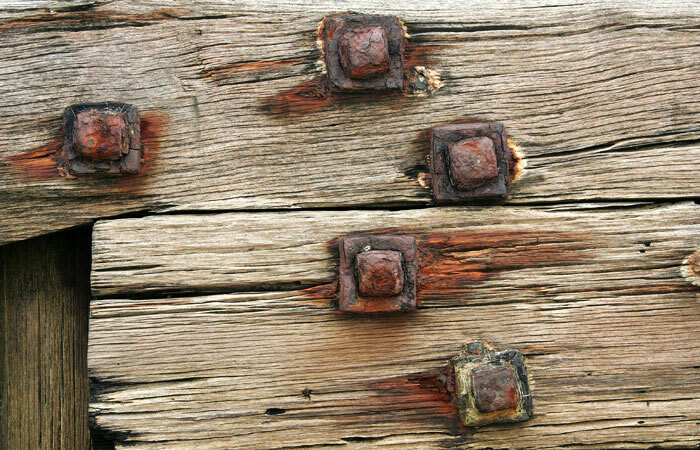 These and other bolted timbers contain the boulders within the inner end of the pier. A few feet away the structural form changes.